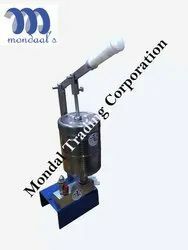 we offering wide range of Use And Throw Ball Pen Making Machine. 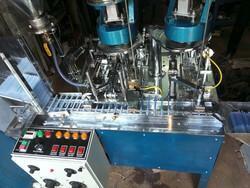 Manual Type Electro Hydro fittings with new age technology in Manual Typo Machine. Set of 5 with Name printing Block. Raw Material also available. Mechanically operated (CAM operated chain system). Does not involve pneumatic operations, PLC control, and sensors. Hence easy to maintain and operate. Ball pen refill of different lengths can be assembled with a high level of precision.